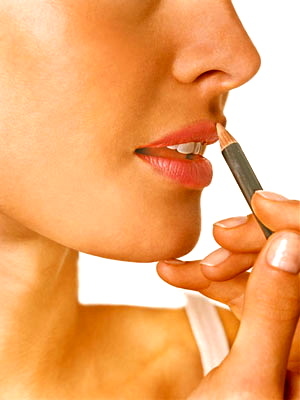 If you’ve never heard of invisible lip liner you might be thinking… ummmm what? Why would I want to spend money on something that’s INVISIBLE! I totally get it but let me change your mind. We all know how lip gloss runs everywhere after a while and especially after you eat. 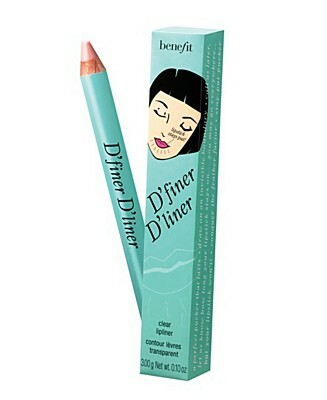 This liner totally stops any bleeding for lipstick and lip gloss. The VERY best part of about this product is it’s an invisible barrier that never change the lipstick shade you are applying. I can’t tell you how many times I’m running out the door, throw on my liner and lipstick in the cab or walking down the street and then I catch a glimpse of myself at some point and my lips are TOTALLY the wrong shade. Either my liner is too dark, or the liner made my lips look too pale. UGGGGG!!!!! Since I like to mix up my lip color a lot depending on my outfit I need for my lips to be the perfect shade every time. *Works for all ages and skin tones. *Why is it different: Made from wax and silicone, so it glides on smooth. It’s also mistake-proof, unlike colored lip liners. *How to use it: Apply like any other liner. This is now part of my everyday beauty arsenal! It truly is a brilliant product that will keep your lips looking perfect all evening. Try it and let me know your thoughts!!! Also are you following me on Twitter & Facebook? If not get on it people!!! Tags: beauty, gorgeous, invisible lip liner, lip gloss, lips, lipstick, makeup, trends. Bookmark the permalink.